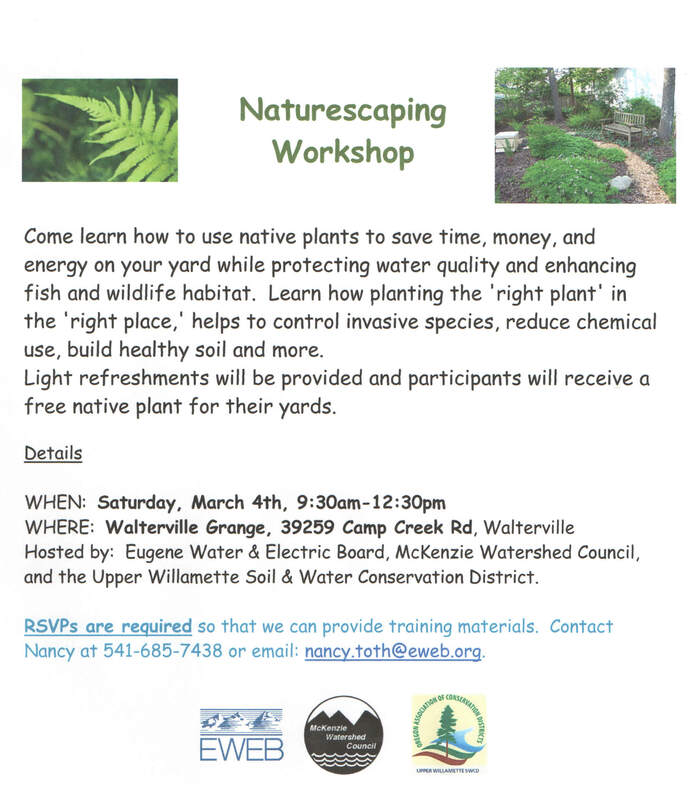 All members and friends are encouraged to participate in the FREE NatureScaping Workshop; March 4; Walterville Grange. This is a great opportunity to learn about landscaping your property based on local ecology. A workshop plot plan of YOUR property will be provided if you RSVP to this invitation and attend the workshop. If the flyer below is a bit fuzzy, PICK THIS!